The composition of rice includes a large number of vitamins and minerals. This wonderful dietary product is used in the preparation of various dishes, including salads, to which it is added to boiled. Thoroughly rinse the rice (any) under running cold water. Put in a saucepan with a thick bottom and pour cereal with hot water in the ratio 2:3. Cover and put on medium heat. Cook for 12 minutes, then turn off the heat and leave the lid for another 12 minutes. In the process of cooking the cover in no case should not be opened, otherwise the rice does not get crumbly. Rinse rice cereal (any except Jasmine) a few times in cold water, put in a saucepan and pour boiling water in the ratio 1:5. Without closing the lid, bring the mass to a boil, lower the heat slightly and leave for 15-20 minutes. Drain rice in a colander, rinse with boiling water and leave for 4 minutes. After that, you can use it for making salad. In a saucepan with a thick bottom, pour 1 liter of water and bring to a boil. Then pour 1.5 cups of steamed rice, stir, cover and simmer for 25 minutes. In the process of cooking, open the lid and stir the rice is not necessary. Thoroughly rinse the rice under cold running water, place in a saucepan and add water in the ratio 1:2. Leave for 20 minutes, then place on medium heat. As soon as the water boils, increase heat to high and cook for 5 minutes. Then cook for another 15 minutes on very low heat. Then leave the rump to get another 20 minutes. Pre-washed in cold water, pour cereal in a saucepan and cover with cold water in a ratio of 1:1. This amount would be sufficient. 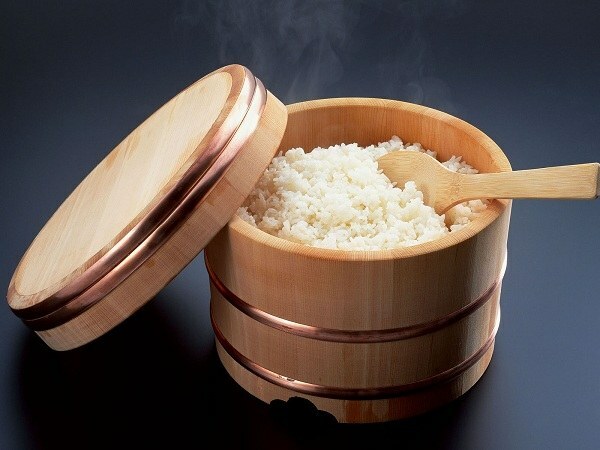 If you take too much water, the rice may turn to mush. Put the saucepan on a medium heat. Once the water is boiling, make the minimum fire and simmer until the rice has absorbed all the liquid. Then turn off the stove and leave the cereal to stand for 5-10 minutes.